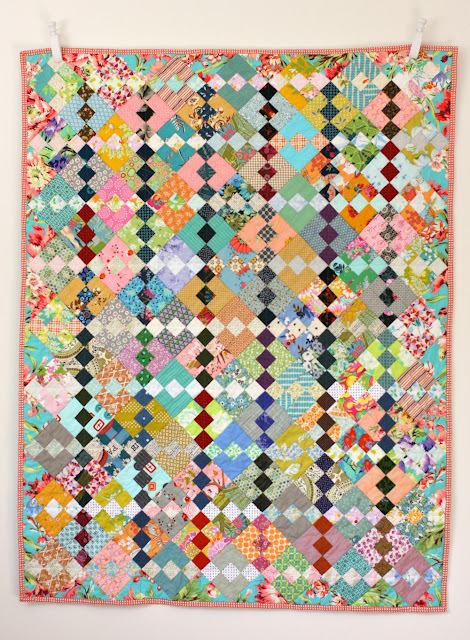 Another scrap quilt! This one was made with a pattern from Bonnie Hunter at Quiltville, (called Carolina Chain). She's famous (at least in my mind) for her Scrappy Trip pattern. She also has many other patterns, and many free tutorials for scrappy quilts. The blocks are on point, or at an angle, so this always makes the pattern look more complex than what it really is. This block is so simple, only two shapes to cut out. That's the kind I like, because I LOVE mindless cutting. 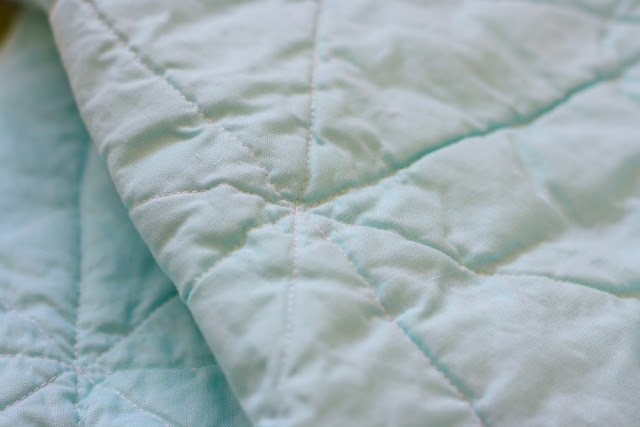 Yes, I love the cutting step in quilting! So my only rule in this quilt was Value. All the blocks have medium value fabrics for the outer pieces. Then half of them have dark center squares, and half have light center squares. This makes for the interesting chain pattern that emerges. Colorwise, I had no rules in this quilt. I just used randomly from my scraps. 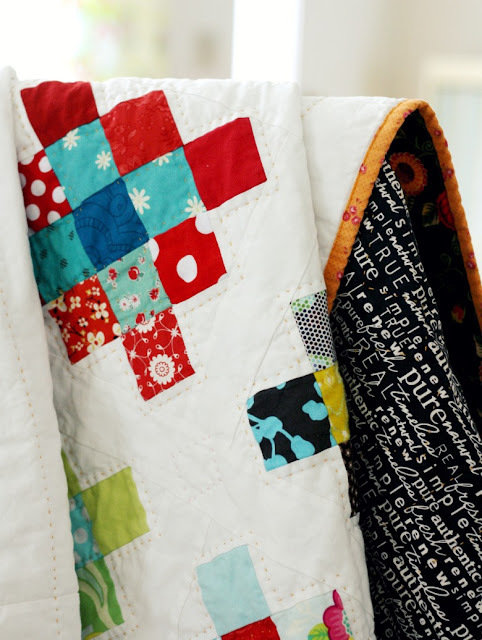 Having a simple pattern with a Value rule, helps a scrappy quilt from being totally crazy! As always - I love it!! I absolutely love this quilt. This may have reignited my sewjo! !How big did your blocks end up? 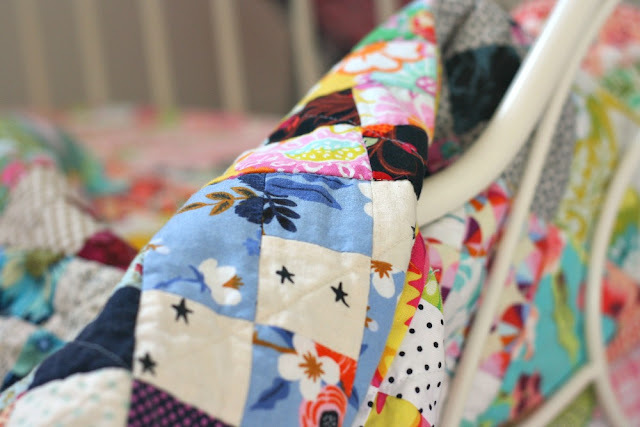 A lovely scrappy quilt! 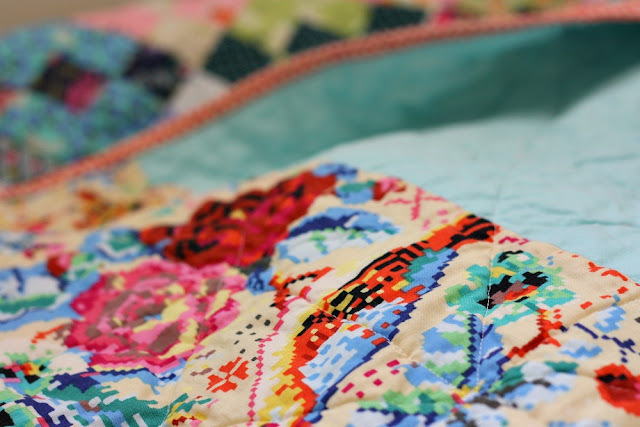 And the teal floral outer border just makes it all sing! 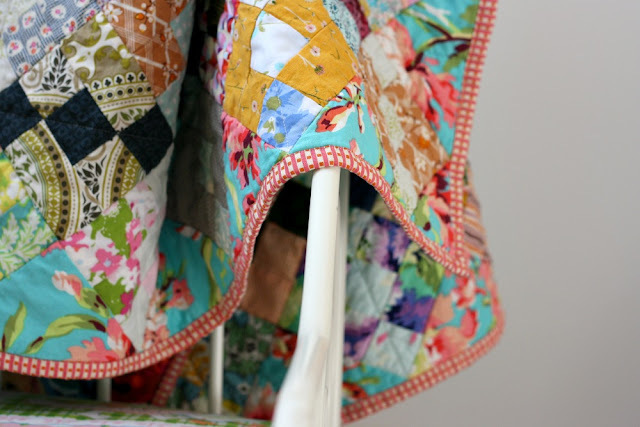 scrap quilts are my favorite and yous is beautiful. Great scraps. Love your colour combinations. Your Carolina Chain is beautiful! I am making one myself, and it is lots of fun and comes together quickly. 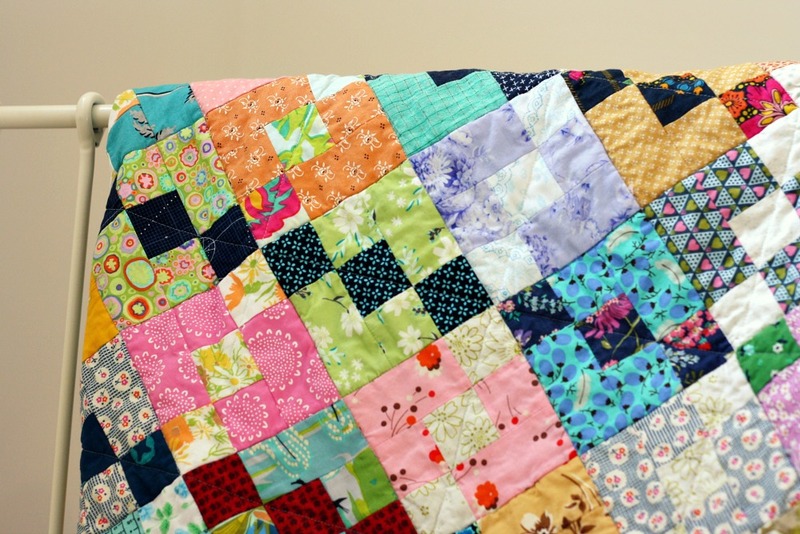 Are you doing her mystery quilt, Good Fortune? I really really love this one. I've saved the picture to put in my "make this some day" file.